Dominic Toretto: [on a walkie-talkie] All right, we're good to go. 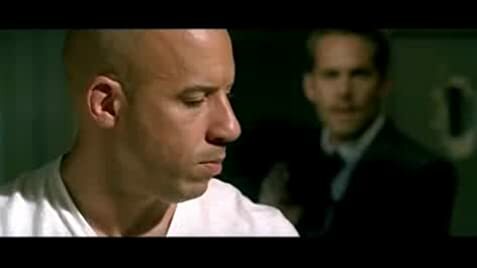 Dominic Toretto: [to Letty] You got this? Courtesy of S.M. Entertainment Co. Ltd.
Q: Why was Dominic Toretto wanted as a criminal? Q: Is it important to see the first three movies before seeing this one? 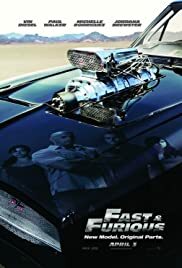 Fast and Furious is, in my opinion one of the high points of the Fast franchise. I could enjoy The Fast and the Furious for what it was. 2 Fast 2 Furious I could not really get into despite the awesome races. Fast and Furious is where I started to like and get into the franchise. There are many reasons for why this is. I find the characters to be much better this time around. Vin Diesel's character, Dom toretto, is back with a vengeance. Him being back, and his character arc in this is one of the main reasons I like this film more than the previous ones. At the start of the film he leaves his gang because the police are gunning for him. He then gets a call from his sister saying Letty (Michelle Rodriguez's character) has been killed. Now Toretto is on a revenge mission to kill the person who killed Letty. (in fast and furious 6 we find out she isn't though.) This makes it more of a personal story for the characters, especially Toretto, which I like. I am also a fan of revenge stories, which made me enjoy this more. I like Paul Walker's character, Brian o Connor, more here than any of the previous films. He seems more mature and professional here. In this film he has been reinstated as an FBI agent. I still do not really buy him as an FBI agent; he does come off as more professional and less of a punk in this movie. Jordana Brewster, from the first film, comes back as Mia, who is Brian's love interest. I thought she was fine, but she is not given much to do. The other characters are not much. Han Lu form Tokyo Drift returns here, as well as Letty. However, they only show-up in the beginning and then disappear from the movie. This story is really about Brian and Toretto. The villain is also very lazy. The Fast films have never had strong villains, but I find this one particularly weak. The villain in this movie along with the villain in the first film is probably my least favourite villains of these movies. The races are still fun to watch. The races here are probably some of my favourite of the franchise. Although there is some very obvious CGI used in some of the races and car chases which might take you out. There was CGI used in the previous films as well, but here it is particularly noticeable. The CG did irk me, but it did not ruin the action. Overall, Fast and Furious is my second favourite Fast film so far. I definitely like it more than the films before it. I like the darker tone, as well as Vin Diesel and his character arc. The races were also good despite the noticeable CGI. For those who are fans of this franchise give this a look if you have not already.